William Walker, the man of destiny from the American South, was a very curious mid-nineteenth century adventurer. He launched various schemes in Mexico and Central America – and was even President of Nicaragua. Curtis H. Stratton explains (Twitter: @Curtis_Stratton). A portrait of William Walker by George Drury. On September 12, 1860, the American-born President of Nicaragua died at the hands of a firing squad. This “gray-eyed man of destiny,” known as William Walker, had conquered the country with sixty men. For, in the 1850s, bold military expeditions were undertaken by people without government sponsorship - expeditions, which were inherently based on conquest. These men-of-fortune were known as “filibusters.” The most successful, and most disastrously-fated, of these filibusters was a Tennessee native, William Walker. Of slight stature and thin-of-hair, the wildly-ambitious attorney seemed the least-likely to be a conqueror. Yet, he was to be a conqueror not just once, but twice, and all as a private citizen. Born in Nashville, Tennessee in 1824, the young Walker showed intellectual promise from an early age. At fourteen, he graduated with honors from the University of Nashville. Though he received a medical degree from the University of Pennsylvania at nineteen, Walker first made a name for himself as an attorney in New Orleans. In New Orleans, Walker experienced his first successes and first tastes of failure. He founded a newspaper after practicing law for some time. His fiancée died of cholera in 1849, when he was but twenty-five. This did not quell the young man’s ambitions, as the United States was full of sentiment surrounding Manifest Destiny - the fervent belief that the United States was destined to settle both North American coasts. This popular conviction showed itself in the Annexation of Texas and the push for further control in the Oregon Territory. As a Southern man, this ideal was deeply-held by Walker, and, as his ties to New Orleans faded, he decided to “Go West, young man.” The allure of the California Gold Rush drew Walker to San Francisco, where his personal legend grew following a duel with an infamous gunslinger, William Hicks Graham. In 1853, Walker made a trip to Guaymas, in the Mexican province of Sonora. There, he petitioned the Mexican government to allow him to create a colony to act as a buffer zone between Native American raiders and American territory. Mexico declined his offer, and Walker returned to San Francisco. Despite the setback, Walker moved forward with his concept of the “Republic of Sonora.” With a recruitment office established and offers of land within the silver-rich Sonora, Walker was able to find recruits for his expedition, as well as the money necessary to undertake it. War veterans, destitute miners, and other adventuring men joined Walker in his quest to create a new country. Sailing from San Francisco to La Paz, in Baja, Walker’s small army of roughly fifty men seized the city, imprisoned the Mexican governor, and declared the “Republic of Lower California,” with sights still on the neighboring Sonora. Walker made himself President of this new republic, and the laws of his last home-state, Louisiana, were applied, which made slavery legal. The capture of La Paz made Walker infinitely popular in San Francisco, and he was reinforced with two hundred Mexicans and two hundred Americans from San Francisco, all of whom were drawn to the allure of land and a role in the new republic. Though the Mexican government could not rally an army to dislodge Walker from La Paz, the small force they did send managed to send Walker into retreat to Ensenada, further up the Baja Peninsula. From there, Walker renamed the republic the Republic of Sonora, consisting of Baja and Sonora. In a stroke of misfortune, the ship carrying Walker’s supplies left, and his recently-enlarged army soon began to desert. With few options remaining for the fledgling republic, Walker decided to attack the city of Sonora proper, in hopes of securing a victory and bolstering his army and finances once more. However, the desertions left him with but thirty-five men, and he crossed the border into American territory, in lieu of capture by the Mexican government. As filibustering was illegal, he and his men were arrested by the U.S. Army. He was given a trial in San Francisco, where the attorney-by-trade argued his way to an acquittal from a sympathetic jury. Having come close to victory in the Sonora Expedition, Walker returned to practicing law, his thirst for adventure not-yet-satisfied. In Nicaragua, thousands of miles south of San Francisco, the exploits of William Walker had reached the warring country. A civil war gripped Nicaragua, with two rival factions vying for control over the Central American country. The liberal Leonese were losing the war to the conservative Granadans. Walker agreed to help the Leonese in their conflict, and, on May 4, 1855, he set sail from San Francisco for Nicaragua with a force of sixty men. Landing at San Juan del Sur on June 16, Walker’s volunteers were greeted by two hundred Leonese troops. Walker marched his newly-formed army through the Nicaraguan jungle to the Granadan stronghold of Rivas. The Battle of Rivas was a defeat for Walker’s army, but, following a regrouping, he and his men attacked the major city of Granada, taking the Granadans by surprise. The city was firmly his by October 1855, and he declared himself President of Nicaragua. His government was formally-recognized by President Polk in May 1856, giving President Walker international legitimacy. However, Walker made many enemies through his conquest. By revoking Vanderbilt’s shipping rights in Nicaragua, legalizing slavery, and making English the official language, he provided fodder for a coalition led by the Costa Ricans to oust him from power in early 1857. 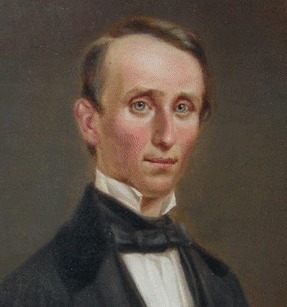 Walker safely returned to the United States following the collapse of his rule, where he was a popular figure in the South. While he made plans to recapture Nicaragua, he wrote a book and practiced law once more. After the better part of a year back in the States, Walker recruited some of his old followers and left from Mobile, Alabama in November 1857. Landing in Nicaragua, he was soon arrested by the U.S. Navy and taken back to the United States. After another trial for violation of United States’ neutrality laws, he was again acquitted by a sympathetic jury in 1858. He remained in the United States until 1860, where he sailed from New Orleans to Honduras. The British Navy caught wind of his landing in Honduras. As the British held colonies in Central America, they abhorred the idea of Walker continuing his filibustering schemes. Thus, the British captured Walker before handing him over to the Honduran government, which ordered his death via firing squad on September 12, 1860. His last words were a request for clemency for his men, and the thirty-six-year-old “gray-eyed man of destiny” was killed, ending his dreams of conquest for good.